Employment strength and employee wellbeing can be useful indicators of the overall health of an industry, and the resources sector is no exception. 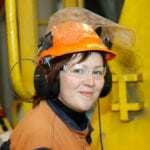 An Australasian Institute of Mining and Metallurgy (AusIMM) survey of employment conditions completed last December revealed significant improvements in the health of the resources sector. AusIMM’s 2018 Professionals Workforce Survey recorded a resources sector unemployment rate of 2.6 per cent, a figure less than half that of the Australian average and 11.5 per cent lower than the 14.1 per cent figure in the sector in 2016. Seventy per cent of respondents were in overall agreement that the resources sector offered increased employment opportunities in 2018. 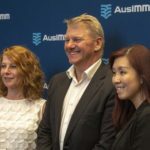 For point of comparison, just 17 per cent of participants in AusIMM’s 2015 survey felt the same, suggesting a huge improvement in outlook over the past three years. AusIMM hopes the positive results of the survey will also prove encouraging to young people with an interest in studying mining. While applications for mining-related courses at universities have fallen in Australia, the unemployment rate among people who work in the resources sector of 2.6 per cent is significantly lower than the national unemployment average of 5.4 per cent. “There is clearly a significant decline in the number of students studying some of these traditional courses and those graduate numbers are getting worse, not better,” Durkin tells Australian Mining. “Our response to that is to focus on the innovation and technology that is going to underpin the future of the industry and to start to build a more contemporary narrative that might appeal to younger people who are interested in these areas and see the resources sector as being an industry that’s on the move and would be of interest to them in terms of building a career. Durkin also regards the increasing move towards automation in the mining industry as essential to securing economic prosperity and job growth. The survey examines areas outside of vocational and economic growth as well, including a strong focus on social factors. When asked about workplace diversity, 69 per cent of males and 64 per cent of females responded that their workplaces met or exceeded expectations. However, more than half of female participants in the survey viewed the resources industry in Australia as generally not diverse. A November 2018 federal government report — Australia’s gender equality scorecard: Key findings from the Workplace Gender Equality Agency’s 2017-18 reporting data — found that while the mining industry was among the industries most likely to take action regarding pay gaps, it still ranked low in overall female representation. The industry did, however, show fairly strong results for gender equality strategy when compared with other industries. 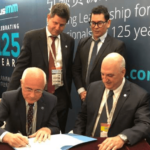 Durkin pointed to the establishment of AusIMM’s Council for Diversity and Inclusion as a step towards improving diversity in the resources industry; not just in terms of female representation, but also nationality, race and religion. “The council has come about because we feel that we need to be on the front foot to ensure that we are a more diverse and inclusive industry and to make sure that we are welcoming as a professional home for a range of people from professional backgrounds,” Durkin says. 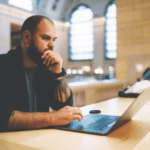 More than 1500 people took part in the survey over a six-week period, with the University of Melbourne helping to analyse and compile the report. Respondents included a mix of technical professionals (such as geologists, geoscientists and engineers), students, other mining sector employees and consultants such as finance, HR and environmental science professionals, and students. “It provides a snapshot of the resources industry overall,” Durkin says. “It enables our members to identify what they see as being some of the trends and priorities within the industry and also measures how happy and satisfied they are in terms of the work that they are doing. The survey base incorporated a wide age range from young graduates through to retirees. This article also appears in the February edition of Australian Mining.